'Swedish Family' was one of the top bands in the late sixties and they kept on going for almost 10 years. The band was a true inspiration to most of the bands during this period. 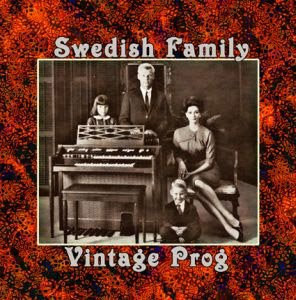 'Swedish Family' picked up there melodies from the tradition of Swedish folk music, rock and classic styles. They blended it all into a unique mix, that came to be so well known and loved. I thought this was acutally just a fancy story, them having been a 70s band releasing a compilation. I thought it was a retro album from the FloKi universe. BTW, file has been removed from the hoster.